As some of you know by now, I am from the future. And slightly annoyed to be here. But anyway, this is what became of Apple Watch. Truth is, being back in 2015 is such a trip. All this talk about “wearables”. I have to laugh, I remember that! Ugh, It’s so quaint to hear that again. “Wearables”. For the record, in the future no one talks about “wearables” like it’s some classification of device. That’s just you guys coming to grips with the fact that technology is everywhere. It’s in everything, it’s networked, and no, you have no privacy. But that’s a different post. Today I wanted to let you in on Apple Watch since I guess you’re only now about to see it launch. Weird. A lot of you are asking “Why would I use it?”, “What’s the killer app?”, “Why would I pay so much for it?”. Yeah, yeah. You do that every time Apple launches a new device, did you realize that? Android users are staring at it dismissively thinking they would never want one since it probably doesn’t do that much. “Why would I use it?”, “What’s the killer app?”, “Why would I pay so much for it?”. Admittedly what the first Apple Watch did was only a glimpse at it’s value. A few years after Apple Watch was released it became pretty obvious what it was all about, and yet it still took a decade before absolutely everybody stopped doubting. Indeed Apple Watch not only survived a decade, but it survived quite a lot longer than that. It outlasted PCs. It outlasted iMac, iPhone and iPad. The Apple Watch strand functionally outlasted almost every other product strand of Apple device and consumer hardware model you are aware of today. It was still going strong when I popped back here, but by then auto-implanted alternatives were becoming pretty common – even though they gave me the willies. So, what did Apple Watch do that was so useful? Much to the chagrin of a fair number of iOS App developers in this time, Apple Watch was not a platform that was ideal for, well, running apps. At least not like they do on iPhone and iPad. Sure people tried. 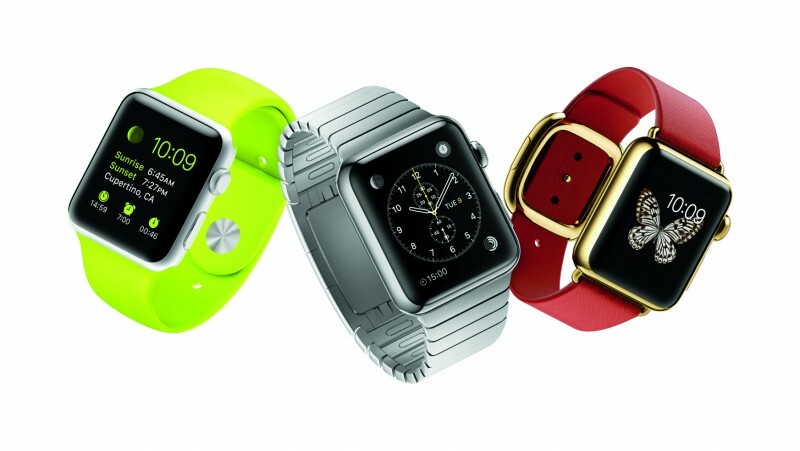 But in short order it became clear that Apple Watch was about being used in conjunction with other devices. If your app did not involve another device or platform, your app-life was probably short lived. As a result many of the best app makers were also developers of apps on other platforms or device makers. You almost never made an app for Apple Watch alone. And that was a clue into Apple Watch’s true conquering strategy. Apple Watch became your key. First and foremost. It was your unique identifying digital self. Your ID for all manner of technical configuration in every other device and context. Apple Pay, Continuity, Apple ID, iCloud, Apple TV. These are some of the “existing” components that dovetailed to make Apple Watch what it was. Ultimately, Apple Watch was not a device for consuming media, or even much in the way of experiences (with the exception of communication). Primarily, Apple Watch identified you, it was the key that unlocked your information and preferences and configured all your other devices and environments. Secondarily Apple watch served as an interface for simple tasks (related to these devices and environments) and as a communicator. This is not to say that the devices around you became dumb devices (dumb screens, dumb terminals etc). They were never that. They still carried the lion’s share of computing power required to perform their specialized tasks. But they were merely normally “un-configured”. Within a few years an iPad or iPhone in your household could switch between users depending on who was using it. Your unique desktop and apps would appear on any workstation you sat down to. Because it knew it was you. Apple Pay was just another variation on the theme. Apple Watch validated your identity and gave you the choice of credit card to use. And I should mention, since there is a flurry of speculation, that yes, Apple Watch worked amazingly well with what you guys are calling the Apple Car (and other cars by the way). The Apple Car was particularly excellent. Your digital environment on wheels. Once identified, all your media was available, your seat, mirrors, mood-lighting, common destinations, and temperature adjusted to you, and of course you locked, unlocked and started your car with your Apple Watch. There was some other stuff of course – once Apple and others started making things for the home. Thermostats, lighting, door locks and home security. It all responded to and was partly controlled by, your Apple Watch. This system was ultimately more secure as well. None of your other devices had to hold content or information. It was encrypted in storage (sorry, in “the cloud”), and your Apple Watch merely unlocked it. But in this way, none of your other devices became points of vulnerability. Do you see what I mean – Apple Watch – plus our finger print (and later more convenient biometric ID – another post) – was our digital key. So it was with us literally all the time. And this is why so many of us were so willing to spend so much on our Apple Watches. It was the most central piece of hardware we owned; a functional part of every other device we used and every modern environment we entered. It was perpetually on display, occupying the familiar, ornamental status of horological watches of the past. But even more important than that, it was the sole material manifestation of our digital selves. And in the future, let’s just say, our digital world doesn’t get less important. For these reasons it was plainly worthy of inordinate expense and pageantry. It was the sole material manifestation of our digital selves. And in the future, let’s just say, our digital world doesn’t get less important. For these reasons it was plainly worthy of inordinate expense and pageantry. It was so much more than critics today seem able to wrap their heads around. More than a hobbled phone, more than the convenience of ready alerts and messaging. It was your key, your hub, it was you. There was admittedly an awkward phase where Apple Watch was lovely, if a little bulky. You’re in that phase now, well, or are about to be. But Apple quickly slimmed the device, and generated many more models. Once the dimensions were improved, and battery life extended, Apple Watch found it’s sweet spot. One that lasted for many years. I could have spelled that “maaaaaannnny”, which is an actual word in the future, but I believe that’s still bad grammar in this time. Anyway, having seen it all play out, I think Apple understood this larger system before most. Being the Apple with vision, they got all this at a time when other companies were scrambling around calling goofy, little, one-off technical experiments “wearable” when in reality few of them really were. No one wanted to wear visible gewgaws. It was just a fact. Existence of these technologies never sold anyone on wearing some device prominently on our bodies. Not on our clothes (except underwear for mostly medical reasons), and definitely not on our glasses. Not anywhere on display BUT OUR WRISTS. Oh, and our finger of course… ah, but that’s another post.